Imprint Method: UNIMPRINTED - Let the light of success shine through with our 100% recyclable, reusable, ultra-light translucent sports bottle! 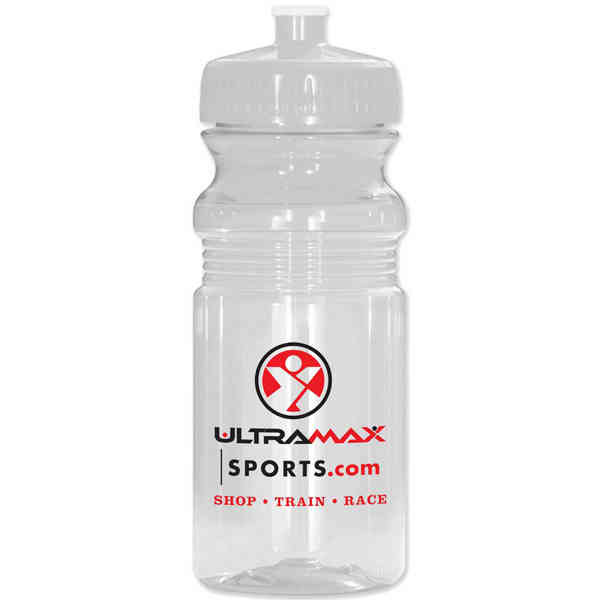 This eco-friendly bottle measures 7-7/8 H x 2-3/4 diameter / 9 circumference. Proudly made in the USA, the BPA-free and biodegradable canteen is made of PETE material and fits most drink holders. It has a push-pull, twist-on cap and a wide mouth perfect for ice cubes. Free assembly. Bottles are supplied with matching caps only. Size: 7.88 " x 2.75 " x 2.75 "
Imprint Size:3.75" x 3", 8.25" x 3"